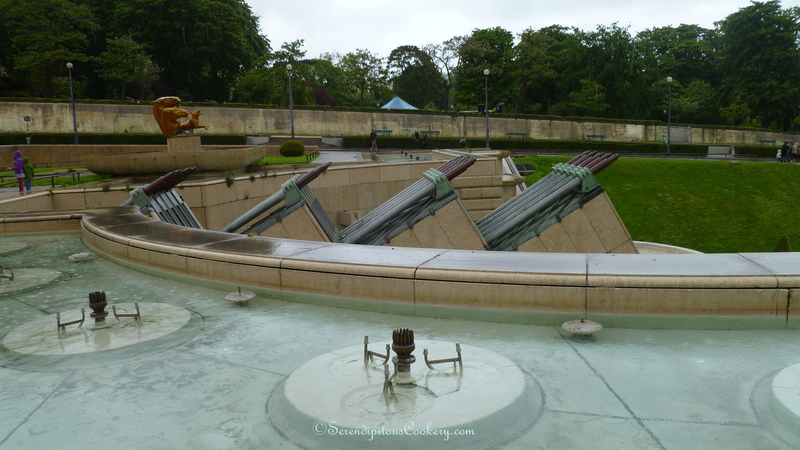 ← Overnight Train to Paris …. 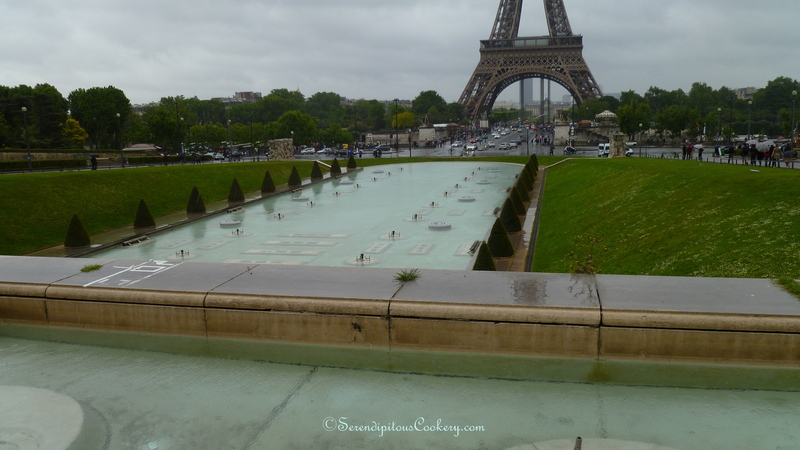 My visit to Paris last May for 5 days was a whirlwind of trying to fit in all of my favorite spots that I had read about …. I was exhausted with tired legs and feet, but thoroughly enjoyed every minute of it. On arriving at the train station after taking the City Night Line train from Hannover, Germany, I very easily found my way to the Metro stop that I would take into the city. The friend I stayed with in Paris had given me excellent directions to the Chatelet stop and I had no problems making it there. A quick call on my cell phone to her, to assure myself I was on the correct street, resulted in me seeing her directly across the little street I was standing on. All my travel details had gone like clockwork, so far …. Once I got settled in, she wanted to take me out in the street to show me around the general area. We walked up and down a few streets, with her pointing out this or that cafe or store. Then she asked me if I wanted to go have a coffee or go see the Eiffel Tower. 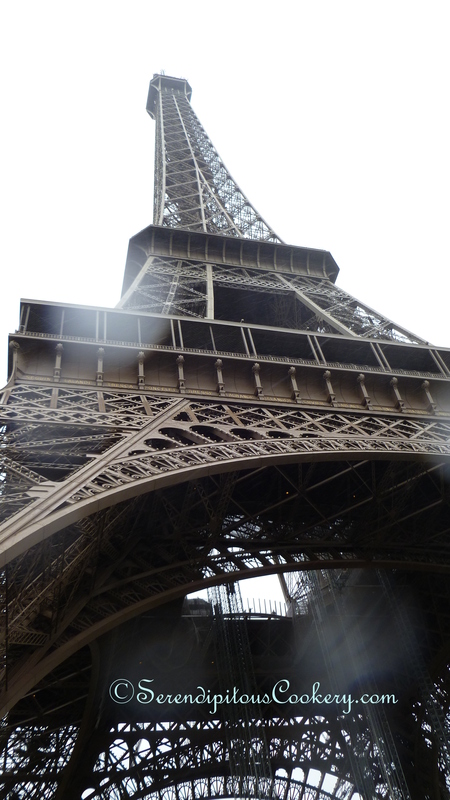 Of course, I said, Eiffel Tower and there started an inadvertent adventure immediately as I had arrived. She took me back to the Chatelet entrance and helped me purchase a little packet of 10 Metro tickets, which turned out to be invaluable for the week. Then she told me to take this train, then that train, then this train, all the while, I’m standing there tired and confused saying, ok, ok, ok and I go down the hallway and get on a train. Of course, I had no idea where I was going because I was stupid enough not to write down anything she told me, lol. I hopped on the train and just stood there, going farther and farther away, watching that little map above the door and listening to the announcer. I finally deduced what it meant to ‘go toward’ such and such a place and what it meant to change trains to go in a slightly different direction. And I couldn’t remember which train I was supposed to take next. This was what I had feared the most … getting lost on the Metro! It’s funny now, but it wasn’t funny at that moment. Because you see, to take the Metro to a desired location, according to the map, one gets on a train, takes that train ‘towards’ the end point of that route; but to go towards one’s desired destination, one may have to get off that train at a certain stop in the midpoint, and take another train ‘towards’ its end point and then get off and take another train to the desired destination. The end point may or may not be one’s desired destination, it’s just a ‘directional term.’ It took me a while to figure this out, but I will say, that once the day was over and I headed back to my friend’s apartment, I think I could have ridden all over Paris and never gotten lost again! Having made it to the last stop on the line, I exited up onto the street level, realizing that I had no idea where I was, except that I was at the farthest Northwest section of Paris, I called her on my cell phone exclaiming “I’m lost!”. 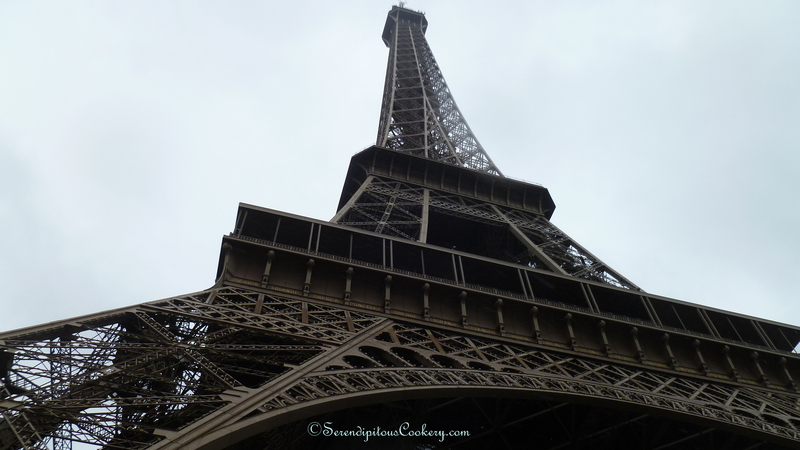 So, she was so very patient with me, telling me step by step as I went, which train to take towards which final destination, changing trains once to go in the direction of the Trocadero exit and the Eiffel Tower. I finally made it and thanked her profusely! I exited the train and made my way up the stairs, into a shower of pouring rain! No umbrella! No jacket! 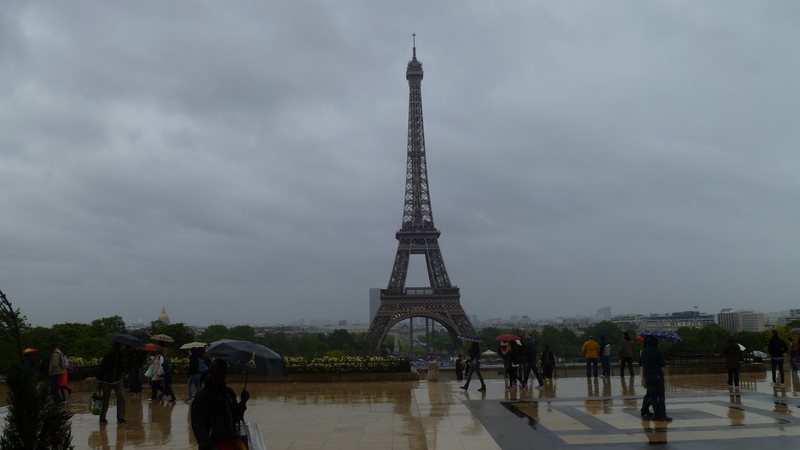 But, not to be undone, I looked around realizing that the majority of the tourists were also sans umbrellas or jackets. I decided to make the best of it and started walking and shooting pictures. I think my photos turned out very nice despite all the rain. It was incredible just to be there experiencing it for the first time, no matter what the weather was. 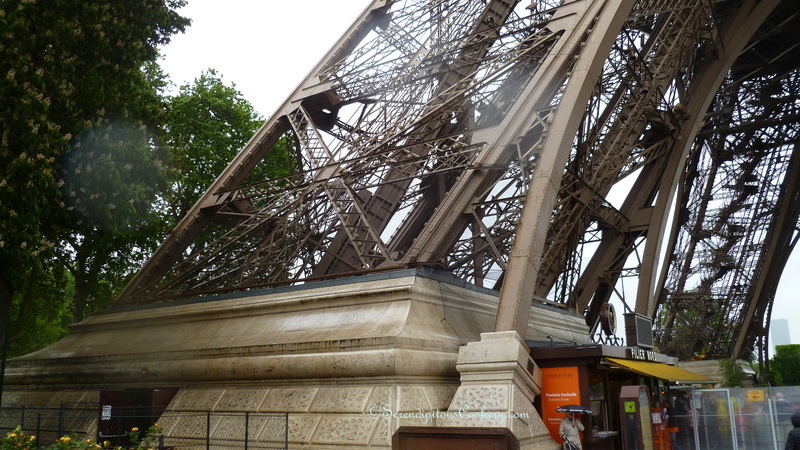 So, these are my Day 1 in Paris Eiffel Tower pictures…. 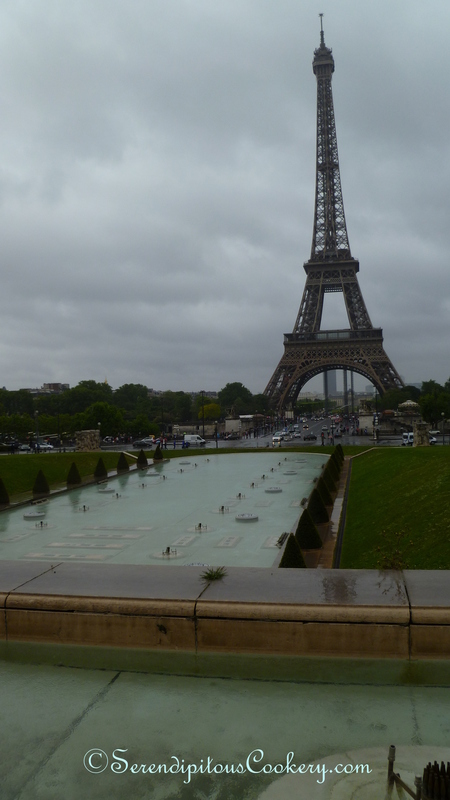 the first one was my very first glimpse of the tower and despite the rain, I was wowed over and I love the reflection of the tourists on the wet flagstones…. Some of the fountains were not turned on yet and it was so chilly and rainy, I really had no desire to wait in the rain and take the elevator up on the tower. I was very happy just to be there. 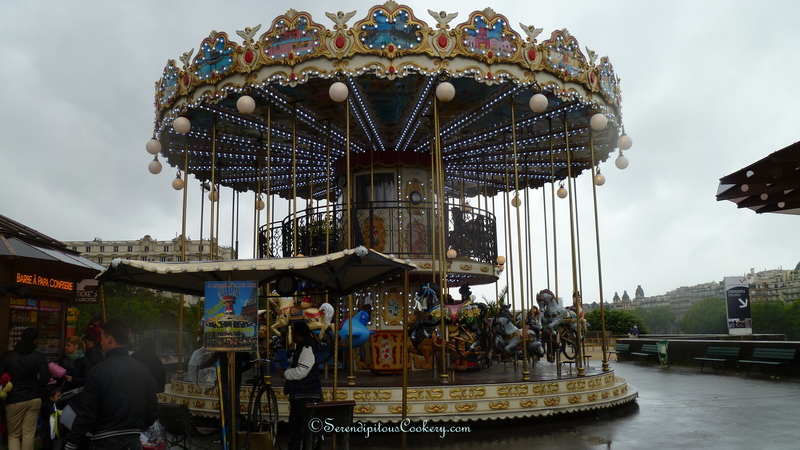 Gallery | This entry was posted in Travel France and tagged Eiffel Tower, Eiffel Tower Carousel, France, Paris, Paris Metro, Trocadero. Bookmark the permalink. 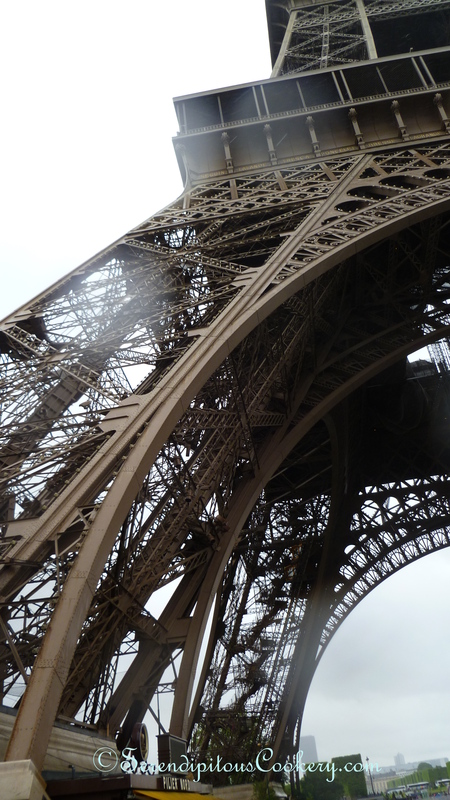 6 Responses to Paris First Impressions …. good article, welcome to the metro of Paris ::) When i worked there I walk to my job lol! and now try to minimize it, as best for Paris is above ground. Enjoy the visit and try to walk Paris. I did walk Paris quite a bit. I estimated 9 to 10 miles each day. No wonder my feet were tired! Oh, it sure is! 🙂 I sure wish there had been more sunshine on my trip. Would have made the photos brighter! 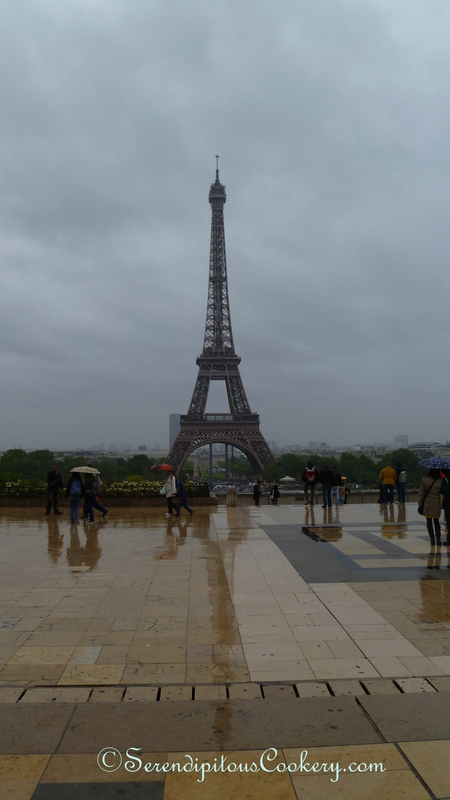 I love Paris in any weather -such a lovely city!